The Human Concerns Committee represents St. Joseph Parish by fulfilling our Baptismal call to serve one another. We are to serve the poor, hungry, homeless and those in need of advocacy. This is true whether we serve others in our own church, our local community, Ozaukee County, throughout our state, the United States or the world. Our committee prayerfully discerns and provides assistance and/or service to an array of organizations. We see Human Concerns as a part of what keeps our parish alive and makes it truly Catholic. Effective outreach and social ministry helps the parish not only do more to serve others, but be more of a reflection of the gospel, of a worshiping and evangelizing people, of a faithful community. It is an essential part of our parish life. Education is one of the Human Concerns Committee’s main goals, working to provide parishioners with information and formation on a variety of topics as related to Catholic Social Teaching. Working together with our sister parish in Los Toros, Dominican Republic, we build relationships and solidarity with the residents of this small, impoverished rural village by developing and implementing projects to improve quality of life. Go to theLos Toros Mission page for more information. 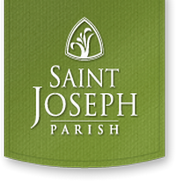 Parishioners from St. Joseph Parish and five other area parishes form the St. Vincent de Paul Conference that identifies and serves clients in need of assistance with food, rent, utilities, medications, budgeting and/or transportation in the area. They also maintain a food pantry at St. Joseph Parish and operate the thrift store in Port Washington. Go to theSt Vincent de Paul page for more information. Reaching out to share a meal and companionship, parishioners – young and old – prepare and donate the meal for St. Ben’s in Milwaukee on the first Friday of each month. Go to theSt Ben’s Meal Program page for more information. Jesus shows us by example that we should visit the sick. As a parish we encourage all to share in that ministry by visiting the sick and homebound – bringing them Communion, support and comfort. Parishioners work together to provides hand knit or crocheted shawls to the sick and grieving, as well as hospice care facilities. They work individually in their homes, while some also gather together at the parish to talk as they work. Provide hand knit or crocheted shawls to the sick, grieving families and Hospice care facilities. Meetings—monthly on the 3rd Thursday (no meetings during summer).